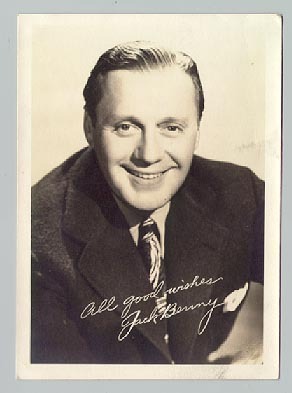 JACK BENNY was born on February 14, 1894 in Chicago, IL (though reportedly conceived in nearby Waukegan) as Benjamin Kubelsky. Originally a straight violinist, Jack started telling jokes between songs in his act and eventually his act went from straight violinist to flashy man-about-town. He later appeared on Broadway in 1926 and made his radio debut on Ed Sullivan's radio show in the early 1930s by saying "Good Evening, Folks. This is Jack Benny. There will be a slight pause for everyone to say, 'Who cares?'" 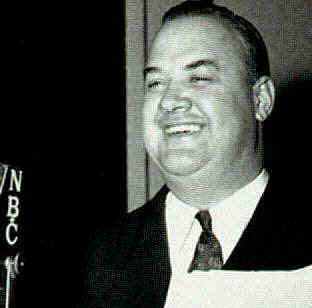 His first radio series was broadcast on May 2, 1932 at 9:30 PM on the NBC Blue radio network. His radio show continued until May 22, 1955 and was sponsored throughout its run by Canada Dry, Chevrolet, General Tire, Jello, Grape Nuts, and Lucky Strike. Jack then successfully transferred his radio show to television which lasted into the 1960s. 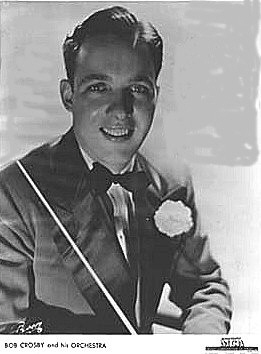 In his later years, Jack guested in many charity concerts with symphonies around the world. Jack was slated to star in his first film in many decades when he succumbed to pancreatic cancer on December 26, 1974 at the age of 39. MARY LIVINGSTON was born Sadye Marks in 1908 in Vancouver, British Columbia, Canada. 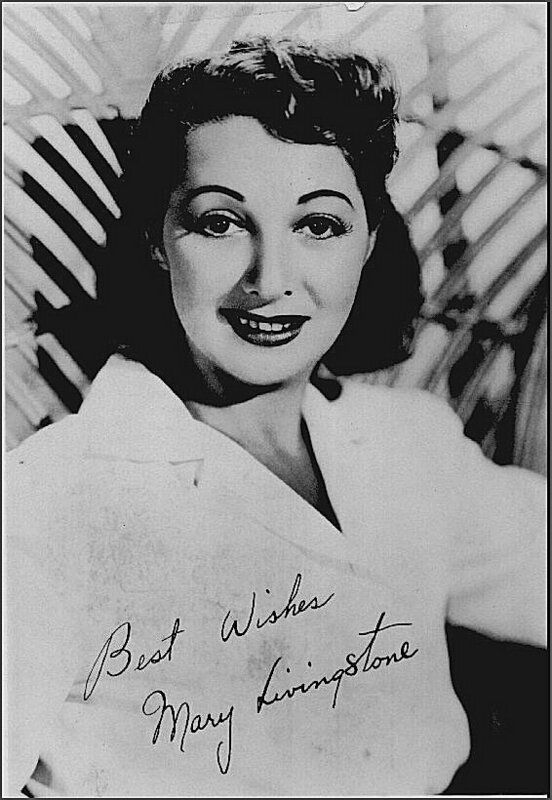 Allegedly a distant cousin of the Marx Brothers, Sadye first appeared on Jack's radio show on August 3, 1932 as Mary Livingstone, a fan from Plainfield, NJ. She stayed with Jack throughout his entire radio career, though it is often said that she suffered from extreme mike fright and would occasionally pass out before a broadcast.. When Jack went into television, Mary's appearances became fewer and fewer. Mary passed away on June 30, 1983 at the age of 75. KENNY BAKER was born in Monrovia, California on September 30, 1912 and was the third show singer after James Melton (1933 season) and Frank Parker (1933-1934 seasons). His first Benny appearance was November 3, 1935. His character was the predecessor of Dennis Day's "silly" singer. Kenny left the Benny show after the 1938-1939 season and actually ended up on the Fred Allen show. Kenny passed away in August 1985 at the age of 73. DENNIS DAY was born Owen Patrick McNulty on May 21, 1917 in New York City and was renamed Dennis Day when he joined Jack's cast on October 8, 1939. Dennis remained with Jack throughout the remainder of his radio run and made the transition with Jack into television. A fine comedian in addition to his excellent singing voice, Dennis also starred in his own radio show for several years during the run of the Benny show, "A Day in the Life of Dennis Day." Dennis died of Lou Gehrig's disease on June 22, 1988. PHIL HARRIS was born on June 24, 1904 in Linton, Indiana and was already an established musician when he joined the Benny show as bandleader, succeeding George Olsen, Ted Weems, Don Bestor and Johnny Green on October 4, 1936. 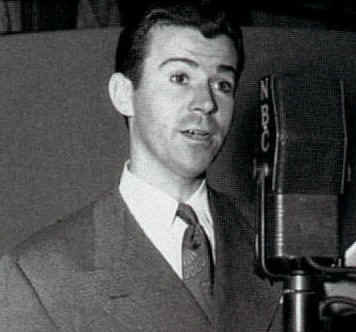 One of the show's most popular cast members, Phil stayed with the radio show through the 1950-51 season when he left allegedly due to budgetary reasons. Phil also starred in a few films with Jack. The last major cast member to pass away, Phil died on August 11, 1995 at the age of 91. EDDIE "ROCHESTER" ANDERSON was born on September 8, 1905 in Oakland, California and first appeared as a train porter on the show on June 20, 1937. According to Frank Nelson ("Yesssssss! "), Nelson was originally slated for the porter role but was unavailable due to other commitments. Eddie then was cast in the role. Eventually, Rochester (last name Van Jones) became Jack's valet and confidante. Eddie stayed with the cast until the end of the radio and TV shows and was so identified with the role that in the show's opening he was credited as Rochester, not Eddie Anderson. Eddie passed away on February 28, 1977 in Los Angeles at the age of 72. DON WILSON was born on September 1, 1900 in Denver, Colorado. 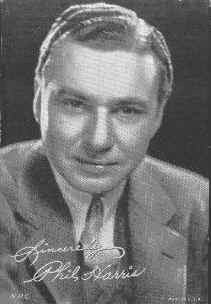 Don was the announcer for the majority of the show's run beginning in April 1934 and succeeded George Hicks, Howard Claney and Alois Havrilla. Don stayed with the show throughout its remaining radio and the entire TV run. Don passed away on April 25, 1982 at the age of 81. BOB CROSBY, brother of Bing, was born on August 25, 1913 in Spokane, Washington. 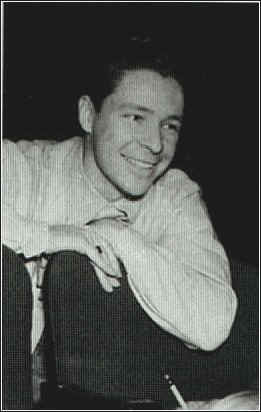 Bob took over the bandleader reign after Phil Harris left the show after the 1950-51 season. Bob brought a different air to the bandleader role -- while Phil was loud and a braggart, Bob was a quiet, family man whose life Jack often contrasted to that of Bing's. Bob passed away of cancer in La Jolla, California on March 6, 1993 at the age of 79.